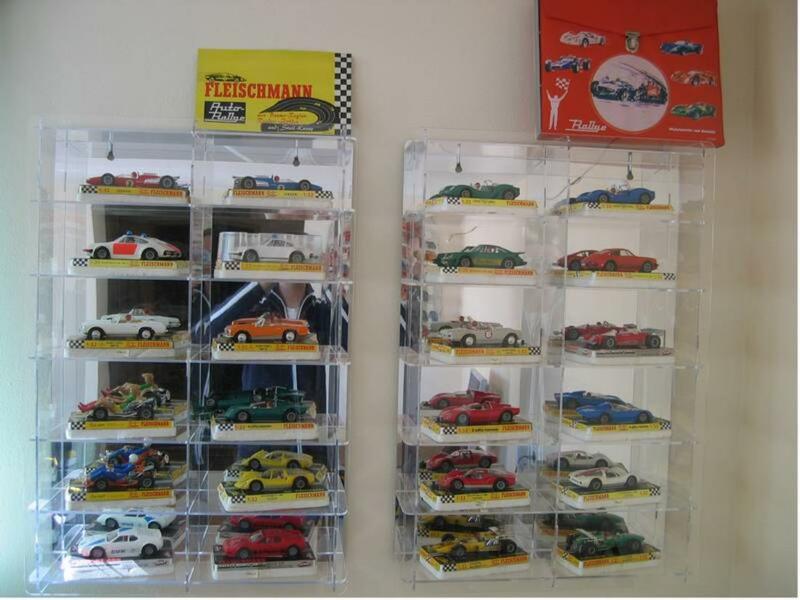 Another passion is collecting slotcars 1/32 of Fleischmann, Nürnberg, Germany. They were produced from 1967 till 1990. 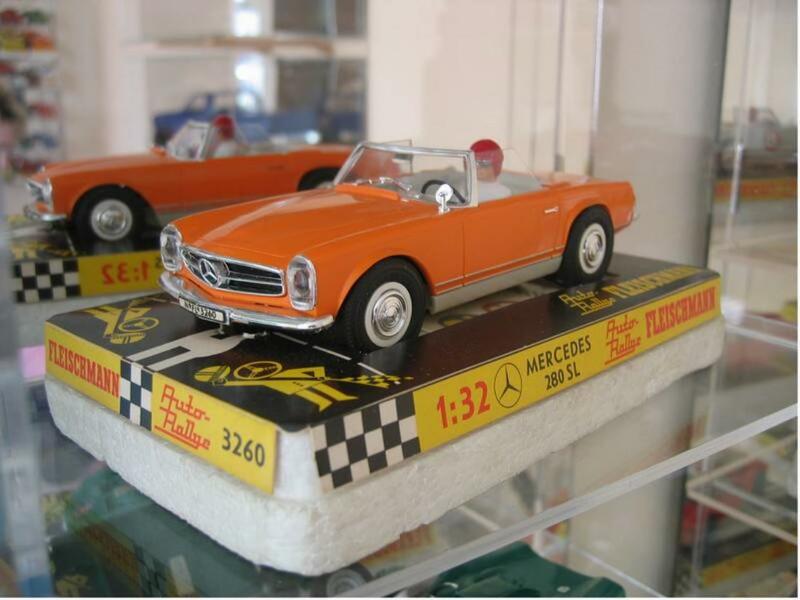 The quality of these cars is very good and they were highly detailed. Now I have every car with box in quite good conditions. If you have any questions about it feel free to ask. Yes I know, it has nothing to do with RC, but it was a necessity for me to show them. I hope there will be some appreciation... And from now on my showroom grows step by step with RC's. do you see the Ranger in the background?? pretty cool. 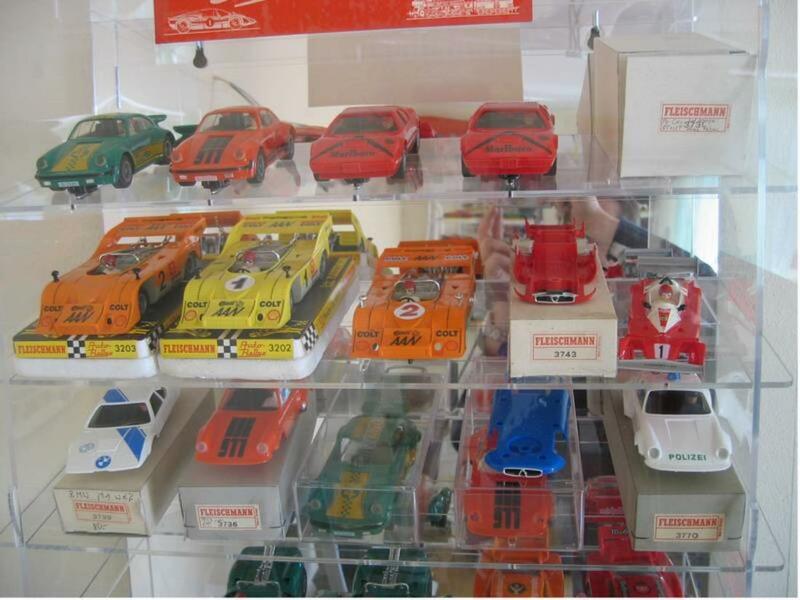 always liked slot cars. Nice collection. 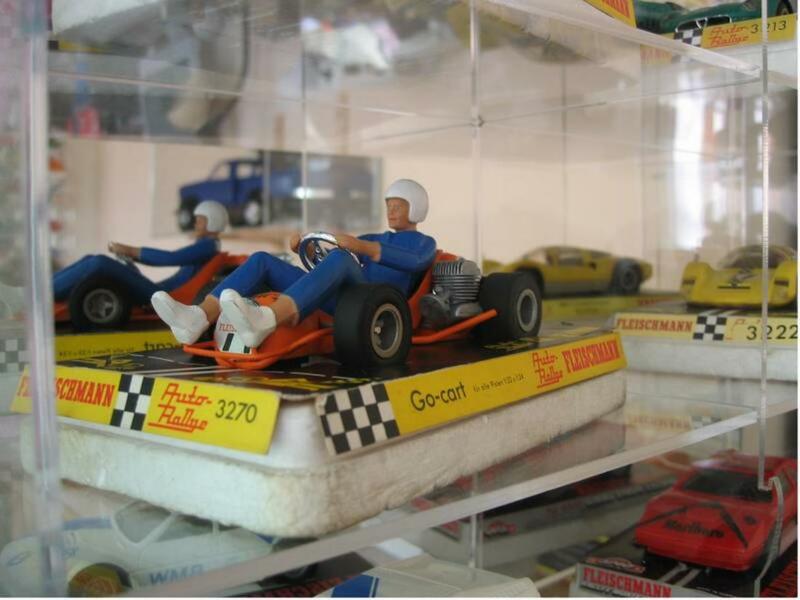 I too have my slotcars and R/C setup in the same workshop. I would be sooo tempted to drive all those nice new looking cars. So much easier to display and not much space required! Like the Gokarts! Amazing collection !! 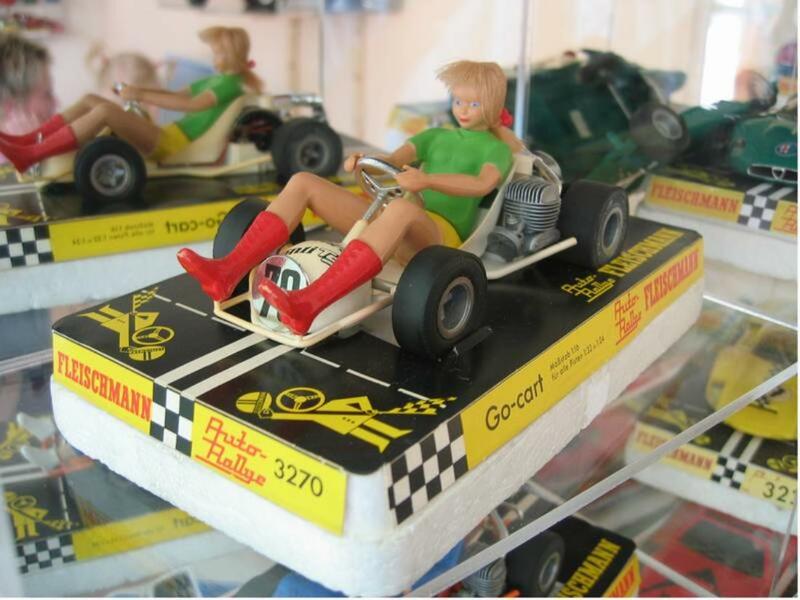 didn´t know Fleischmann made something else then trains.. ) The girl-go cart is cool ! Waaaaaaaaahhhhhhhhh Cool! man! these are old! I had 5 of them on these pictures. 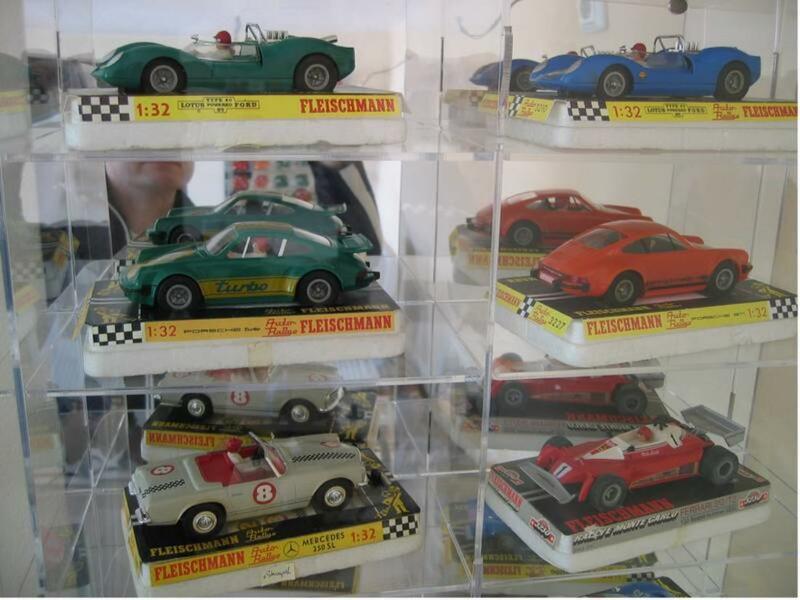 The 911 police was my favorite and the windshield of the Merc SL always broke And the porshe jagermeiser! what a beauty! you bring me good memories with these pics! 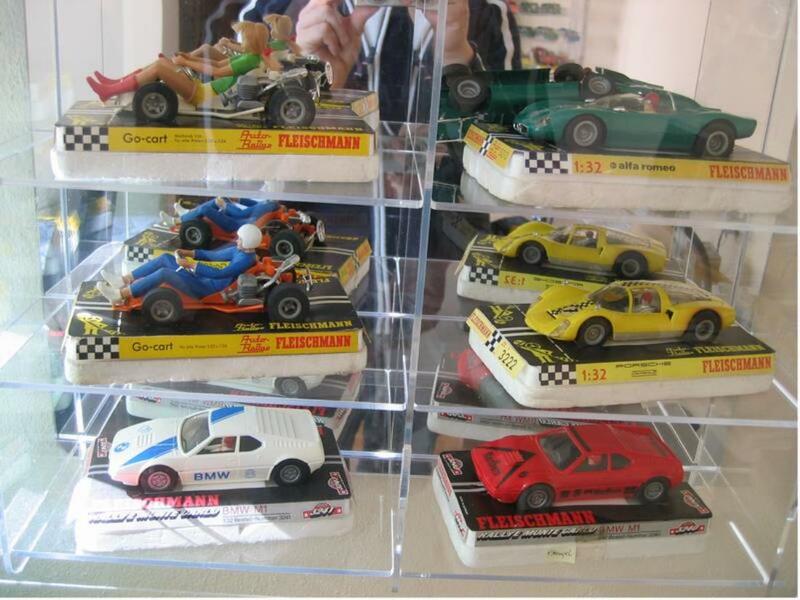 Perhaps I still have them somewhere... very nice collection! 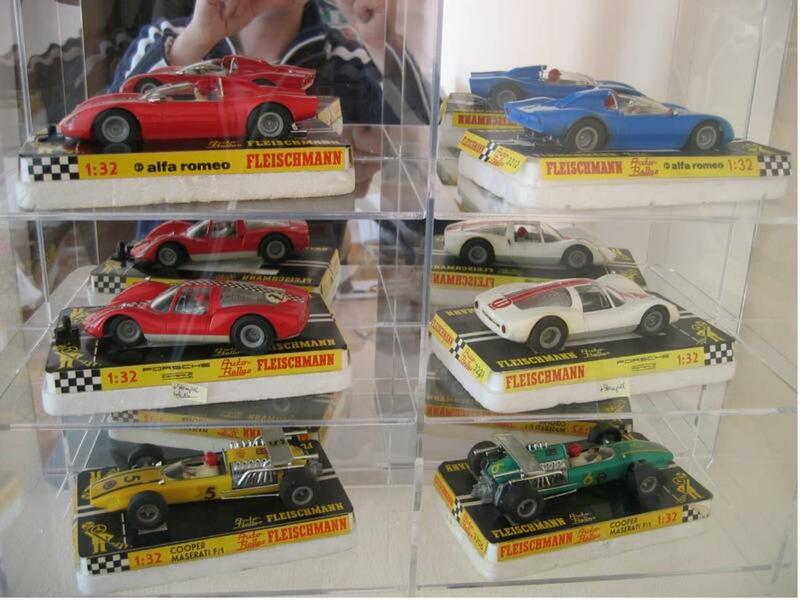 Nice collection, can't say that I have ever seen these before as in the USA we probably didn't get them much. Those boots on that Girl Go Kart look more like they are made for Walkin as Nancy Sinatra might say. Wow nice! These are cool... so nostalgic ... I never knew they something other than trains. My LHS stocked mostly Scalectrix and Jouef stuff. 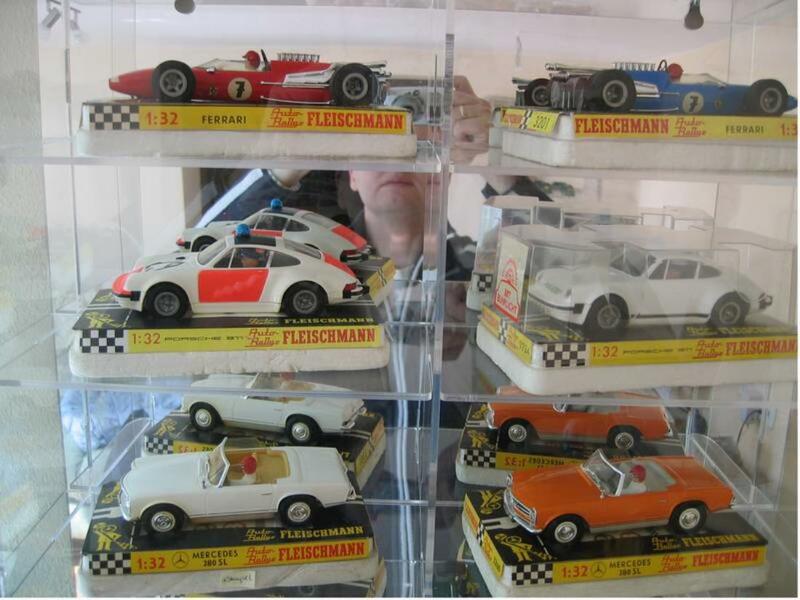 That Porsche with the skull (#2) on the 5th pic is quite rare, isn't it? Great collection! 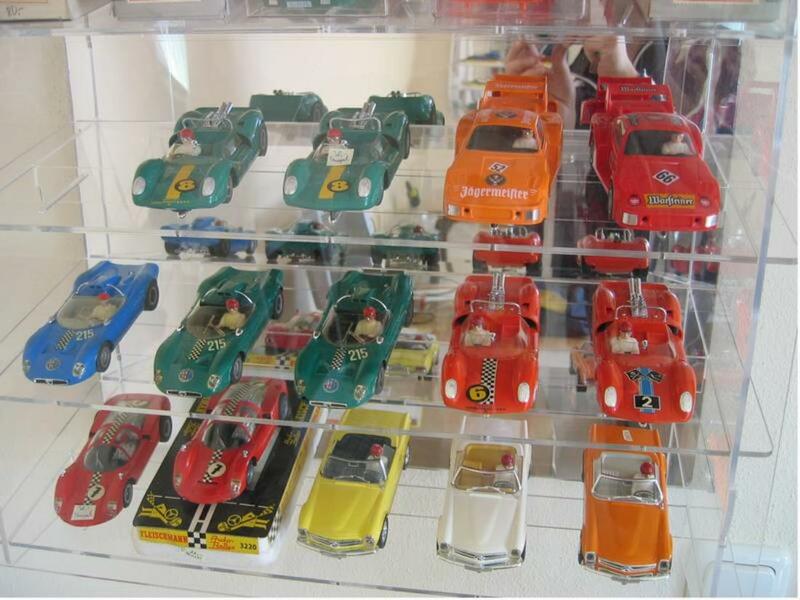 Yeah, that's the one (Lotus), cool collection!